Sometimes you know the direction you’re heading in isn’t quite right for you. But, unsure of where else to turn, you keep going anyway, saddled with growing discontent and dissatisfaction. Bernadette Schreyer tried a different approach. Her initial idea was just to find a new job. After a series of small steps, however, she gradually became more confident. She started considering alternatives that made the most of her talents and aspirations. Soon she let herself dream, and she decided to change course in dramatic fashion. I found her story remarkable and inspiring, and included it in full below. While our paths may differ from Bernadette’s, we can all take steps towards finding more meaning and fulfillment in our lives. About Dreaming Out Loud and a letter from my future self: sometimes you have to take a bigger step towards your goal. Have you ever thought about how it will feel to realize your big dream? I work at a big firm and joined a WOL circle some months ago. WOL is very popular where I work and all our KickOff workshops are fully booked after two hours with more then 500 people on the waitlist. People start to get together from various departments and learn how to coach themselves and to do something good - for themselves and others. I am more than thankful about this movement to lead people to a better life and career - we definitely need this mindset! I joined a circle with the goal to find a new job within the firm. I am an acoustics engineer, composer and musician and landed a job in sound development for exhaust pipes but I realized quite quickly that I am not on the right track. By joining a circle one year after joining the company I started working on my network and looking for new opportunities. My network is strong, but there was no new job, and a lot of wishes and dreams inside my heart. And then there was week 7. The best week ever. I wrote a letter to myself. It was incredibly easy. I was listening to my heart and the text was just growing by itself. Well, I already had that particular dream years ago but I never took the first step because I thought the time wasn't right. But in my situation, ideas started to form and grow: the plan to realize what's inside of me. To break out and do something absolutely DIFFERENT. Some weeks ago I finished my circle and said goodbye to my colleagues at work. I finally took the big step I was first afraid of and I am looking forward to changing my life upside down. Together with my partner, I will set sails soon. 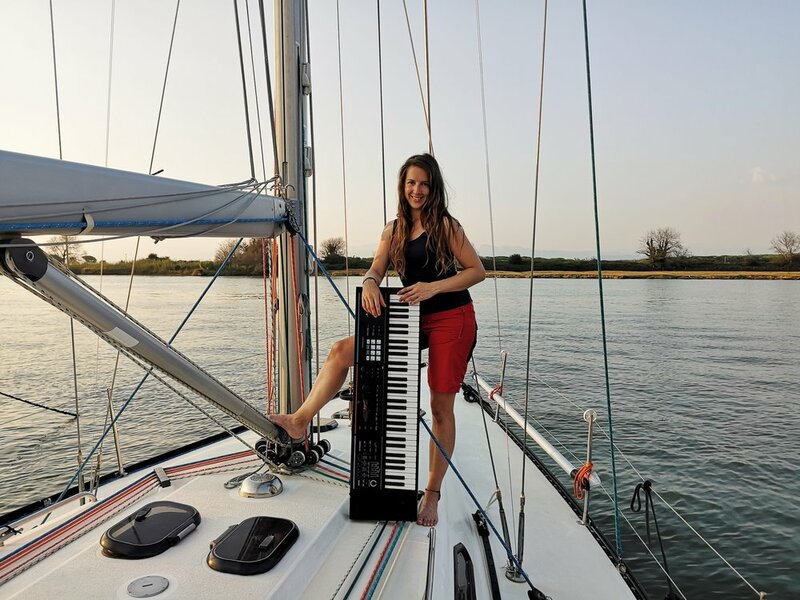 As an adventurer and musician, I want to go on a big journey on our 41ft sailboat with a piano on board composing music. My message for the world out there is: "Listen to your heart and live your dreams, even if it's hard!" I want to share my story to show people that it's possible to live dreams and to help them achieve what they are longing for. I am currently working on my first videos to share on Facebook and YouTube and I wrote my first blog posts. I am not used to be active online and it felt a bit weird at first to write in public but the principles of WOL helped me to feel more confident and to share my story in the process. It's normal that it takes some time to get used to new things in life, but it is amazing to explore and learn about the world, and especially about yourself. If you have a question or are worried about taking a big step, feel free to contact me on bernifox@sailingfoxes.com or visit https://sailingfoxes.com. I am happy to help! It sounds a bit lofty, doesn’t it? Like an exaggeration? Here’s an example of what I mean. Though I didn’t know Andrea, I was notified of her post because she mentioned me in it. So I offered some ways she could find potential Circle members and added that, by coincidence, I would be in her city in a few weeks. There were 12 of us, and we had fun discovering connections between each of us. What motivated each person to attend? Did they know anyone else there? How did they even hear about WOL? If that was all that happened, it would be enough, and Andrea summed it up nicely in a post. But the ripples kept spreading (and keep spreading). For example, six of the people there were from Airbus. Several of them brought a book, inscribed by their manager who, unbeknownst to me, was giving it to her team members. As we talked, we discovered other connections with Airbus in France, and the team resolved to start their own WOL Circles inside the company. Stranger still, the woman I sat next, Gleyce, was already part of a group led by someone in Brazil working to translate the Circle Guides into Portuguese. The web of connections and coincidences seemed to grow, and we all remarked on how it all began with a simple post. "Airbus starting to Working Out Loud - Elina Golke, Clotilde Martin, John Stepper, Gleyce Kastl Lima, Philipp Rathjen, Bernd Schmid"
In Week 10 of the Circle Guides, there’s a contribution checklist to help people become more systematic about what they have to offer. Your gift can be as simple as attention or appreciation, or it can be making your work visible: sharing what you’re doing, why you’re doing it, resources and people that have helped you, things you’ve learned, questions you have, and more. When I write posts like the one you’re reading now, most of the readers are people I don’t know, and aren't even connected to me, and the ripples take me and my work to some surprising places. 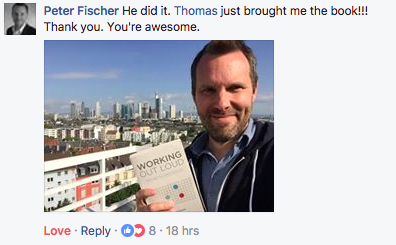 Just this week I got a note from the principal of a school in Austria who wants to use WOL to help teachers with their professional development. It's a topic my wife and I are both interested in, and that I wrote about almost four years ago, and the Austrian principal and I agreed on an experiment we'll do together in a few weeks. How do such things happen? And how can you make them happen more often? In chaos theory, as a way to demonstrate that small changes can have dramatic and unpredictable consequences, it's said that a butterfly flapping its wings in China can affect the weather in New York City. What if, like Andrea, you unleashed your own butterflies each day, offering contributions without expectations? What kind of changes could you make possible, for yourself and for others? I haven’t met Tiago Caldas yet. We haven’t even spoken on the phone. But after I gave a talk at his company in Germany last September, I noticed him join the WOL community from Brazil, form a WOL Circle, connect with people around the world, and actively promote WOL. Most recently (and incredibly), he organized a group to translate the Circle Guides into Portuguese. I asked him via email why a manager in a global engineering company would do all of this, and he sent me a short blog post I said I would share with you. In short, WOL helped him and he thought it would help others, so he’s taking action to make that possible. I’ll speak to him for the first time in two weeks about ways to spread WOL in Brazil. I can’t wait to thank him. Working Out Loud: a kind of dynamite for Brazilians’ improvement! Everybody knows that we Brazilians are so open and we love relationships. We like to be connected with colleagues, friends, and family and there are no barriers for that. Five minutes are enough to invite someone for a barbecue, party, or to drink something together. Therefore, sharing is in our blood! We are a mix of every kind of culture: Germans, Italians, Japanese, Americans, Indians, etc. This is also something that help us to be so flexible in dealing with so different characteristics and personalities. So, why does Working Out Loud matter for Brazilians? I used dynamite in the title because in my opinion the advantage we Brazilians have in establishing relationships connected with an organized way to do that is extremely powerful. We can show our work and improve our networks at the same time. Relationships: We truly enjoy being together. Generosity: Facing so many crises and difficulties, we learned to open our hearts and help each other. Visible work: We like to talk and share! But we need to improve how we do it, and the 12 steps are a powerful tool. Purposeful discovery: The heart moves us. We need motivation to discover what really touches us. Growth mindset: We love life, and exploring more and more is our passion. I loved reading Daniella's story for many reasons: her desire to help young children get exposed to science and technology, the photos of her and the “inspired little scientists with shining eyes,” the article in the German newspaper. I was inspired by how she turned an idea into reality, using her Working Out Loud Circle to create a possibility she hadn’t imagined before. When she started, she had the same doubts and fears we all have. But by taking small steps over time, with feedback and peer support along the way, she made something wonderful emerge. Here’s the beginning of Daniella’s post on LinkedIn. (You can read it in full by clicking on the image below.) As you read it, think of how empowered you would feel if you could bring ideas to life like that. Think of what your organization would be like if more people approached issues and opportunities like Daniella - with generosity, creativity, and persistence. It’s an approach you can learn - and spread. I was nervous about this one. Although I’ve delivered workshops before, the crowds have ranged from 25 to 100 people or so. This would be five times the largest one. An even bigger challenge would be that they were engineers at Bosch, responsible for manufacturing and logistics in plants around the world. Not a typical WOL audience. I was to open the second day. The attendees had already heard from speakers who talked about innovation and technology trends. Bernd Häuser, the senior vice president responsible for manufacturing at Bosch, was the man responsible for making WOL part of the conference. He introduced Working Out Loud as “something practical,” something they could each apply themselves. Who else is doing it and why? But I adapt each talk depending on the audience. For this group of engineers, I focused on how Working Out Loud can help you be more effective, giving you access to more knowledge while accelerating the rate of innovation and continuous improvement. I also sought to demystify the practice, telling stories about engineers as diverse (and as old) as Alexander Humboldt and W. Edwards Deming, showing how even they were proponents of elements of Working Out Loud. Towards the end, I gave examples of how WOL Circles are spreading in other engineering companies. “Now it’s your turn,” I said. The plan was that, together with Sabine and Katha, I would guide the 110 groups through WOL Circle exercises from Weeks 1 and 2. But the three of us weren’t convinced this would work. What if they took too long to self-organize? What if they thought the process was too “soft”? What if we lost their attention or never got it to begin with? We needn’t have worried. The crowd had already been together for a day, and they were eager for more interaction and connection. I gave brief instructions before each exercise, and Sabine and Katha offered their own insights. While the Circles were working, the co-creation team would walk around the room and offer “micro-coaching” to answer questions or clarify things. The room was buzzing. We began with an exercise Sabine suggested which immediately helped the Circle members to relate to each other and feel comfortable. Then they went on to share their individual goals, write down lists of people related to those goals, and offer contributions right there in the room. Afterwards, we all breathed a sigh of relief, and we talked about what worked and what could be better. Perhaps the best thing about the workshop, beyond the level of engagement and the number of new Circle members, was that we were able to reach people in the core business from around the world, including senior management. Why would these manufacturing companies want to Work Out Loud? This month I began working with three new clients: a mining company, a chemical company, and a steel company. These are not the kind of clients I ever expected to have, and yet there I was, helping each of them spread Working Out Loud Circles. 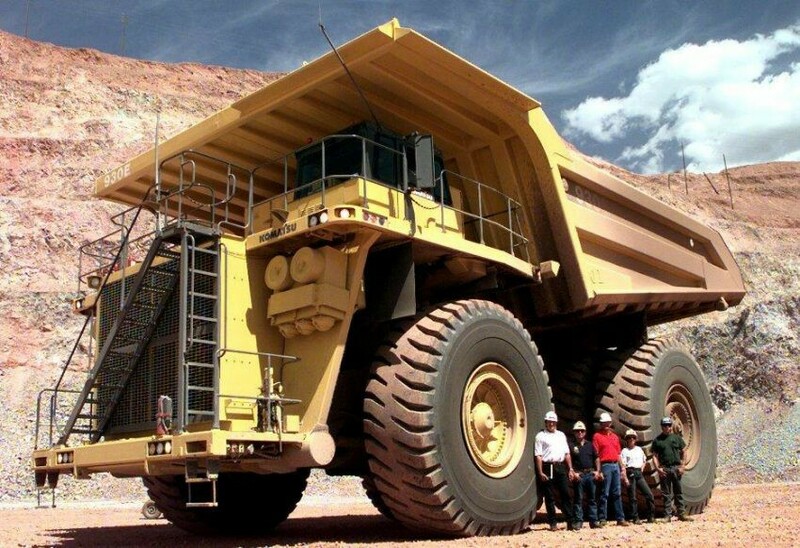 In the mining company, it’s HR sponsoring the initiative. They’re integrating WOL Circles into a graduate training program and a digital leaders program, and both groups are looking for ways to help employees be connected, effective, and engaged. The Chief Digital Officer sponsored the kick-off in the chemical company. They have a wide-reaching remit, including expanding the use and impact of the internal social tools, and Circles will help them tap into more intrinsic motivation for using those tools. The steel company was different. The initial effort was sponsored by the head of internal communications, who wanted to drive adoption of tools and make the culture even more open and collaborative. But HR was also involved, and we quickly began talking about other challenges where WOL could help. To find your own best way, join a Circle yourself or spread the first few at your organization. A mining company, a chemical company, and a steel company are all ready to try something new: scalable, hands-on, social learning to help their people develop new skills and make their organizations better. Are you and your organization ready? I didn’t realize how big it was going to be until I walked into the venue. It was a professional, all-day conference run by Bosch for their employees. All so they could spread the practice of Working Out Loud. Bosch first spread circles last year as an experiment. After a while, Katharina Krentz and I came to know each other and soon began to collaborate. She started with just a few circles so they could see for themselves how it worked, just as most other organizations start. Over time, Katha and a growing team collected feedback from participants who said the practice helped them feel better as individuals while helping with the corporate mission to become a more agile, connected company. That gained the attention and approval of management to keep going. More people at Bosch got involved. They translated and adapted the material. They spread the word and formed many more circles. We began collaborating on a wider range of things, from small improvements to major innovations. The people who had come together were presented with an award by their executive for their efforts on Working Out Loud. Together, we'll keep spreading circles and will pilot the innovations we co-created. Also, after the conference, I stayed in Germany and had the chance to visit with six other companies here. Combined, they have well over a million employees. If we reach even 1 percent, that would be over 10,000 people who could experience a better career and life, who could unlock and empower the next 1%, the next 5%, who could improve the culture and effectiveness of their organizations. I’m grateful for the opportunity to work with the people at Bosch, proud of what they have accomplished, and hopeful we can help many, many more people around the world. At one point, after some excellent talks, an executive presented several awards for outstanding work related to digital collaboration. This year, for the first time, there was a special Co-Creation Award, for people who voluntarily come together to work on something they care about. The thrilling part was that it was awarded to the people I’ve been with all week, for their accomplishments with Working Out Loud. They were completely surprised and looked at each other, shocked, as the executive called their names and greeted them on stage. Though some of them had never met in person before, we created, debated, and produced good work as if we’ve been doing so for years. Partnering with these people, and the entire Bosch team, has been one of the most rewarding collaborative experiences I’ve ever had. I'm proud to know them and work with them. Congratulations to all of you for leading by example.